Hypoplastic left heart syndrome (HLHS) is a problem with the heart’s structure that is present at birth (congenital). It is a group of related defects that, together, mean that the left side of the heart is underdeveloped. Normally, oxygen-poor blood is pumped through the right side of the heart to the lungs, where it gains oxygen and returns to the left side of the heart. The oxygen-rich blood is then pumped from the left side of the heart to the rest of the body. At birth, all babies also have two connections, or shunts, between the two sides of the heart; however, within a few days of birth these connections close. Hispanic infants with critical types of congenital heart disease have worse outcomes in their first year than do their non-Hispanic white counterparts, a difference largely driven by their mother's level of education and type of insurance coverage, according to new research in Journal of the American Heart Association, the Open Access Journal of the American Heart Association/American Stroke Association. Children who undergo surgery for congenital heart disease have lower survival rates by three years of age if there are specific problems during fetal development, such as hypertension in the mother or the newborn being born preterm or small for gestational age. 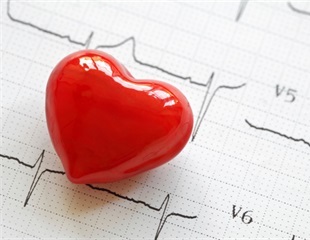 Researchers at the University of Cincinnati College of Medicine have shown that probenecid, a drug long used to treat gout, may be able to improve heart function in adult patients who experience heart failure. Children's Hospital Los Angeles is announcing participation in the first-ever clinical trial using stem cells from umbilical cord blood to delay or even prevent heart failure in children born with a rare congenital heart defect that leaves them with half a heart. The first known identification of two genes responsible for hypoplastic left heart syndrome (HLHS), a severe congenital heart defect, has been reported by researchers at the University of Pittsburgh School of Medicine. In a first-in-children randomized clinical study, medical researchers at the University of Maryland School of Medicine and the Interdisciplinary Stem Cell Institute at the University of Miami Miller School of Medicine have begun testing to see whether adult stem cells derived from bone marrow benefit children with the congenital heart defect hypoplastic left heart syndrome (HLHS). Last August, when Children's Hospital Los Angeles cardiologists confirmed that the heart of a 27-week-old fetus suffered from a critical cardiac condition that prevented blood returning from the fetus's lungs from circulating back into the body, they told the parents that their child faced certain open-heart surgery after birth. Even worse, babies born with this very rare condition—hypoplastic left heart syndrome (HLHS) with restrictive atrial septum—have a 50 percent neonatal mortality rate. Children born with the major congenital heart defect hypoplastic left heart syndrome (HLHS) often must undergo a series of corrective surgeries beginning at birth. While most have the standard three-stage Norwood procedure, a hybrid strategy has been introduced to offset some disadvantages associated with the Norwood surgeries. In a report in The Journal of Thoracic and Cardiovascular Surgery, investigators compare whether outcomes can be improved if an arterial shunt is used as a source of pulmonary blood flow rather than the more conventional venous shunt as part of the hybrid strategy of HLHS surgical reconstruction. Pediatric cardiology researchers and clinicians from numerous centers from around the world are gathering at the Cardiology 2015: the 18th Annual Update on Pediatric and Congenital Cardiovascular Disease conference, sponsored by The Children's Hospital of Philadelphia and Phoenix Children's Hospital on Feb. 11 to Feb. 15 in Scottsdale, Ariz. Many aspects of pediatric cardiology are relatively new to the discipline. Only recently have physicians been able to accurately diagnose and characterize the myriad congenital cardiovascular conditions that occur and begin to apply successful strategies for care. This week, an international group of more than 800 medical experts gather at the nation's largest pediatric cardiology conference to discuss challenges in treating congenital heart disease in the fetus, neonates, children and young adults. Many aspects of pediatric cardiology are relatively new to the discipline. Only recently have physicians been able to accurately diagnose and characterize the myriad congenital cardiovascular conditions that occur and begin to apply successful strategies for care. A case study published recently in the journal Pediatrics describes an innovative, minimally invasive procedure that treated plastic bronchitis, a potentially life-threatening disease, in a six-year-old boy with a heart condition. Using new lymphatic imaging tools and catheterization techniques, physician-researchers eliminated bronchial casts, which are an accumulation of lymphatic material that clogged the child's airway. Costs of care differ significantly across hospitals for children born with heart defects, according to new research led by a University of Michigan researcher. Congenital heart defects are known to be the most common birth defects, impacting nearly 1 in every 100 births. More than 14 percent of pregnant women were prescribed opioids (narcotics) for pain at some time during their pregnancy, according to a study posted to the online version of Anesthesiology. A first-of-its-kind study led by Texas Children's Hospital and Baylor College of Medicine, published online in the journal, Circulation, found that infants with hypoplastic left heart syndrome born far from a hospital providing neonatal cardiac surgery for HLHS have increased neonatal mortality, with most deaths occurring before surgery. In an effort to lengthen the life span and improve the quality of life for those born with heart defects, longtime Cedars-Sinai supporters Vera and Paul Guerin have donated $10 million to establish the Vera and Paul Guerin Family Congenital Heart Program in the Cedars-Sinai Heart Institute. Mayo Clinic has announced the first U.S. stem cell clinical trial for pediatric congenital heart disease. The trial aims to determine how stem cells from autologous umbilical cord blood can help children with hypoplastic left heart syndrome, a rare defect in which the left side of the heart is critically underdeveloped. Mayo Clinic researchers have found a way to detect and eliminate potentially troublemaking stem cells to make stem cell therapy safer. Induced Pluripotent Stem cells, also known as iPS cells, are bioengineered from adult tissues to have properties of embryonic stem cells, which have the unlimited capacity to differentiate and grow into any desired types of cells, such as skin, brain, lung and heart cells. Researchers at the University of Maryland School of Medicine, who are exploring novel ways to treat serious heart problems in children, have conducted the first direct comparison of the regenerative abilities of neonatal and adult-derived human cardiac stem cells.